efficiency,Â convenientÂ cleaning,Â reasonableÂ structure,Â smallÂ landÂ areaÂ andÂ highÂ automaticÂ degreeÂ etc. 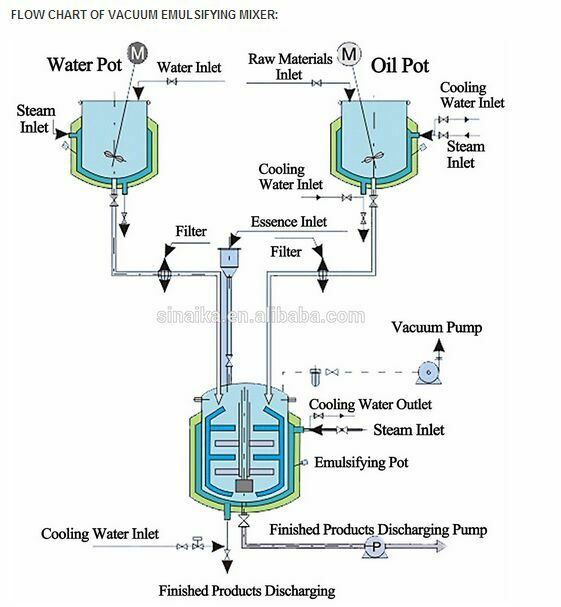 The vacuum emulsifying mixer is mainly composed of water pot, oil pot, emulsifying pot, vacuum system, lifting system (optional), electric control system (PLC is optional), operation platform, etc. 1. 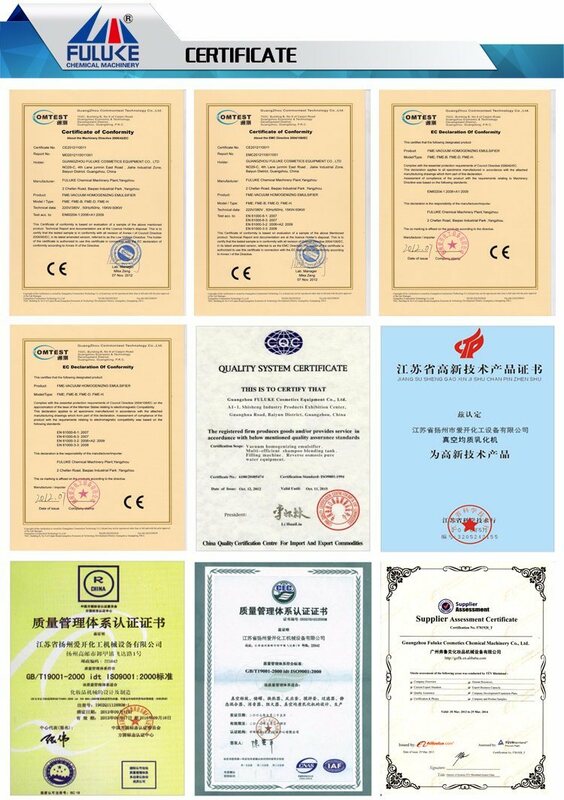 The vacuum emulsifiers produced by our company include many varieties. 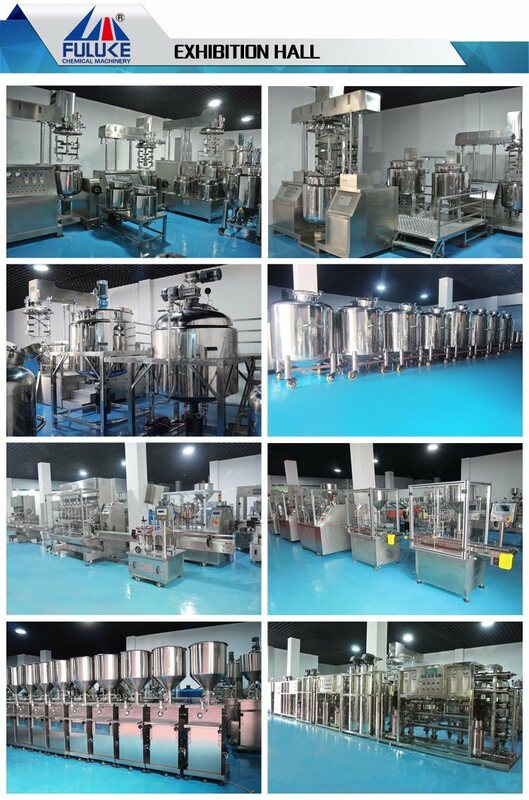 The homogenizing systems include upper homogenization, lower homogenization, internal and external circulating homogenization. 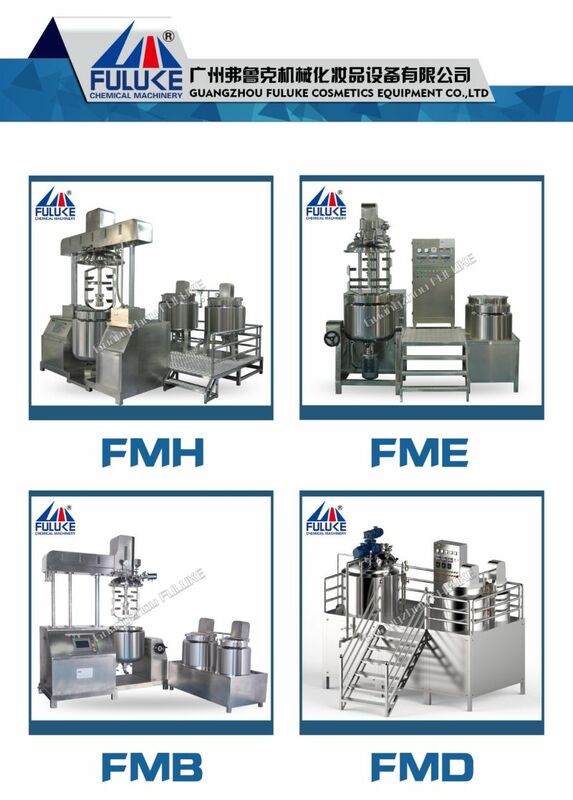 The mixing systems include single-way mixing, double-way mixing and helical ribbon mixing. The lifting systems include single -cylinder lifting and double-cylinder lifting. Various high quality products can be customized according to customer's requirements. 2. The triple mixing adopts the imported frequency converter for speed adjusment, which can meet different technological demands. 3. The homogenizing structure made through German technology adopts the improted double-end mechanical seal effect. The maximum emulsifying rotation speed can reach 4,200rpm and highest shearing fineness can reach 0.2-5Î¼m. 4. 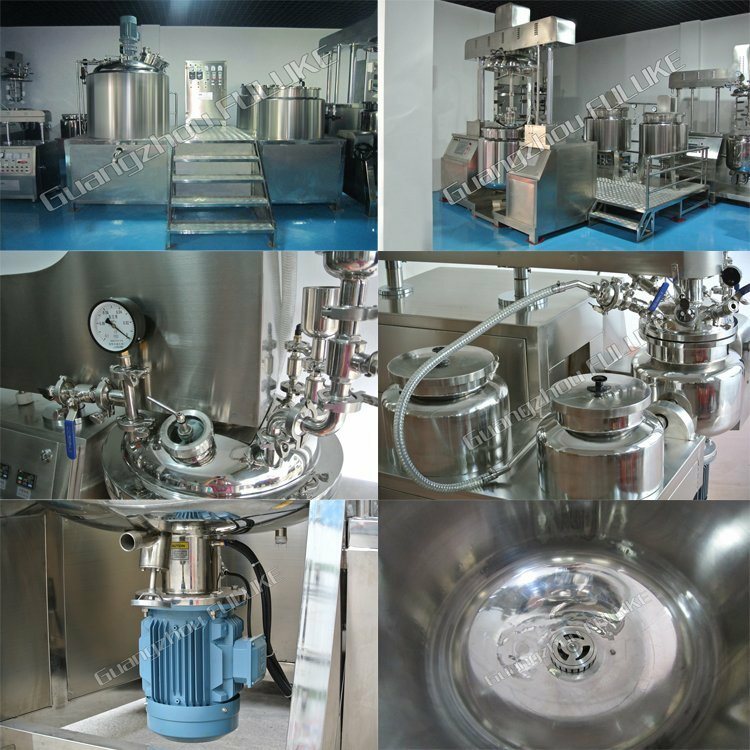 The vacuum defoaming can make the materials meet the requirement of being aseptic. The vacuum material sucking is adopted, and especially for the powder materials, vacuum sucking can avoid dust. 5. The emulsifying pot lid can adopt lifting system, easy to clean and the cleaning effect is more abvious, the emulsifying pot can adopt tilt discharge. 6. The pot body is welded by imported three-layer stainless steel plate. The tank body and pipes adopt mirror polishing, which fully meet the international standards. 1.The pot can heat by steam and cool by water efficiency. 2.The material sucking (AES) homogenizer is adopted to accelerate the dissolution and alleviate labor intensity. 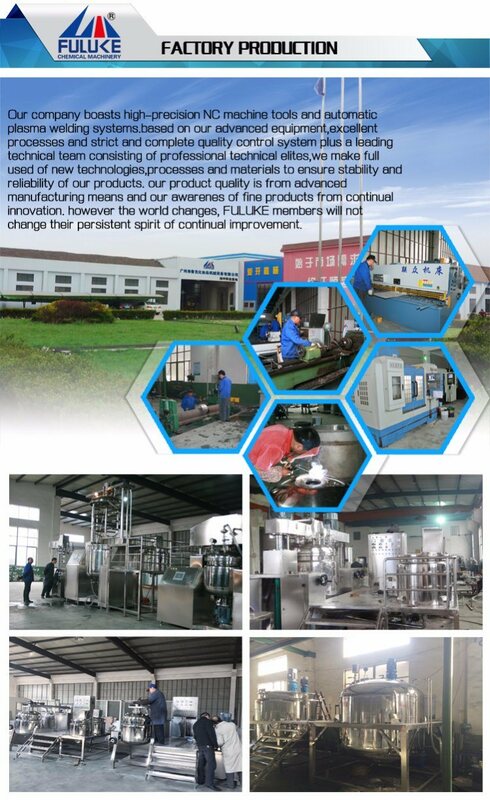 3.The whole machine has compact structure with convenient operation. 4.If it is allocated with heating water furnace ,Â the plate type heat exchanger will make the using effect better . Â Â Â A:Yes,our factory is in Guangzhou, China,warmly welcome to visit us. 2.Q:Do you provide after-sale service? Â A:Sure, we have a good after sale service. Â A:We have the high quality ,and the good factory price. 5.Q:How can you control the quality and delivery? Â Â A: All our machines will be tested before packaging. wooden packaing is strong and safety for long delivery . 2.We will send our technical enginner to your country to do installation, and training. 3.After our machine arrived to your country, we can send our technician to do the installation and training, and your part bear the airplane fee, the local accommadation and time fee. 4.One year free spare part free with our machine. very suitable for home heating use. 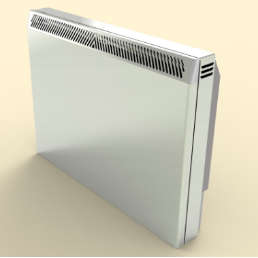 Related Products:storage electric radiator,dynamic electric radiator,household electric heater.